Tim Seibles is the author of several books of poems including Hurdy-Gurdy, Hammerlock, Buffalo Head Solos, and, most recently, Fast Animal. He is Professor of English at Old Dominion University and teaches in the Muse Writers Workshop, the University of Southern Maine's Stonecoast MFA in Writing Program, and Cave Canem. He has received fellowships from both the Provincetown Fine Arts Center and The National Endowment for the Arts. He also won the Open Voice Award from the 63rd Street Y in New York City. Santa Rosa, Calif. (September 19, 2012) – September 29, 2012 marks the second annual global event for 100 Thousand Poets for Change, a grassroots organization that brings communities together to call for environmental, social, and political change within the framework of peace and sustainability. An event that began primarily with poet organizers, 100 Thousand Poets for Change has grown into an interdisciplinary coalition with year round events which includes musicians, dancers, mimes, painters and photographers from around the world. Local issues are still key to this massive global event as communities around the world raise their voices on issues such as homelessness, global warming, education, racism and censorship, through concerts, readings, lectures, workshops, flash mobs, theater performances and other actions. 100 Thousand Poets for Change began in Sonoma County, Calif. The official Headquarters’ Event will take place at the Arlene Francis Center in downtown Santa Rosa and will feature poetry readings, group meditations, workshops, and music and dance of various styles including hip hop, flamenco, African drums, reggae, salsa, folk and more. The HQ event will also live-stream other 100 Thousand Poets for Change events worldwide. This 3-day event is sponsored by the Peace & Justice Center of Sonoma County and the Sonoma County Arts Council. Jonathan B. Tucker is a writer, actor, poet, DJ, and activist. Coach of the DC Youth Slam Team and Youth Programs Coordinator for Split This Rock, he uses performance poetry to raise issues of social justice and inspire dialogue and action. 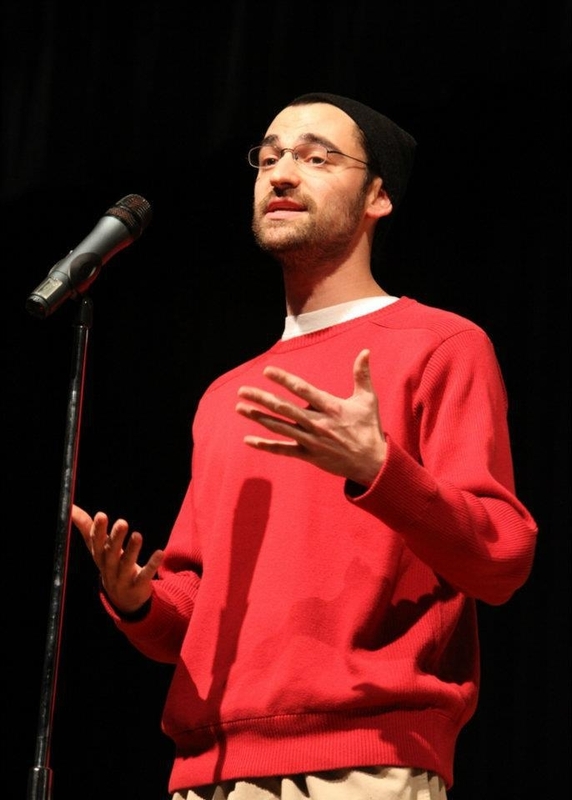 Born in Washington, DC, and raised in Crofton, MD, Jonathan has twice represented DC at the National Poetry Slam. His book, I Got the Matches, and other poems are available at jonathanbtucker.com. to the morticians and their cadavers. Let’s make the most noise with our hearts. Tim Seibles is the author of several books of poems including Hurdy-Gurdy, Hammerlock, Buffalo Head Solos, and, most recently, Fast Animal. He is Professor of English at Old Dominion University and teaches in the Muse Writers Workshop, the University of Southern Maine’s Stonecoast MFA in Writing Program, and Cave Canem. He has received fellowships from both the Provincetown Fine Arts Center and The National Endowment for the Arts. He also won the Open Voice Award from the 63rd Street Y in New York City. The DC Youth Slam Team, a program of Split This Rock, uses spoken word poetry to teach and empower DC teens to speak up about issues of social justice. With free weekly writing workshops, monthly open mics, poetry slams, and annual travel to regional and national competitions, the team provides training and a platform for talented District youth to develop their poetry and public speaking skills with guidance from mentors and peers. Split This Rock calls poets to the center of public life and fosters a national network of socially engaged poets. From our home in the nation’s capital we celebrate poetic diversity and the transformative power of the imagination. Split This Rock’s programs integrate poetry into public life and support the poets who write and perform this vital work. HAMILTONIAN GALLERY is a dynamic space in the heart of Washington, DC contemporary art district. The gallery focuses on works by emerging and mid-career artists. In conjunction with Hamiltonian Artists, the gallery advances the professional development of emerging artists and broadens the dialogue on contemporary art and culture through its exhibitions and public programming. 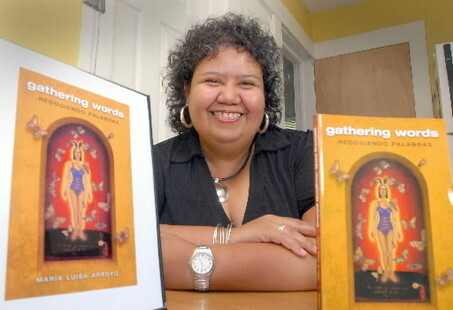 Multilingual award-winning poet María Luisa Arroyo enjoys facilitating poetry workshops and has performed her poems widely, including in Chicago and Puerto Rico. Academically trained at Colby, Tufts, and Harvard in German, Arroyo has published poems in many journals, including CALYX, and PALABRA. Her publications include the poetry collection, Gathering Words: Recogiendo Palabras (Bilingual Press 2008) and the multicultural anthology about bullying, Bullying: Replies, Rebuttals, Confessions, Catharsis (Skyhorse Publishing, 2012) co-edited with Magdalena Gómez. For the fifth consecutive year, Fall for the Book will host a poetry reading at the Old Firestation #3 — this year with a special focus on poets of distinction throughout the immediate region. Elizabeth Arnold, David Keplinger, Christopher Nealon, Mel Nichols, Tim Seibles, and Rod Smith will be sampling their works on Saturday, September 29, at 8 p.m. at 3988 University Drive in downtown Fairfax, VA. The year’s reading is sponsored by Split This Rock. Elizabeth Arnold, who teaches in the MFA program at the University of Maryland, has published three books of poems, The Reef, Civilization, and Effacement. 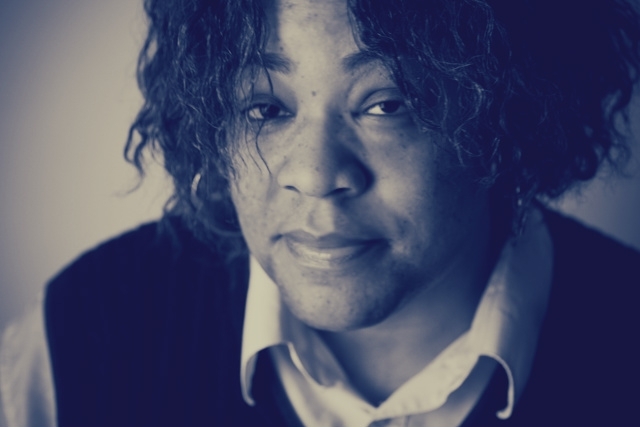 She has received numerous awards for her work, including a Bunting Fellowship and Whiting Writers Award. 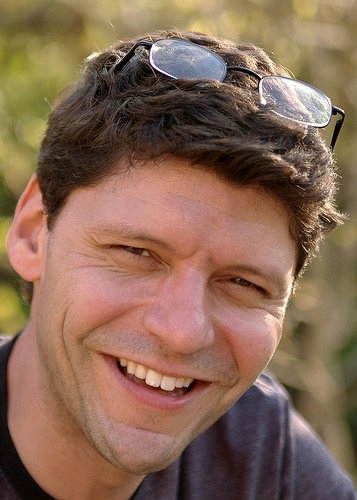 David Keplinger is the director of the creative writing program at American University and the author of three collections of poetry: The Rose Inside, which won the 1999 T.S. Eliot Prize; The Clearing; and most recently, The Prayers of Others, which won the Colorado Book Award. Christopher Nealon is the author of two books of poems, The Joyous Age and Plummet, as well as the books Foundlings: Lesbian and Gay Historical Emotion before Stonewall and The Matter of Capital: Poetry and Crisis in The American Century. He teaches at Johns Hopkins U.
Mel Nichols’ books include Catalytic Exteriorization Phenomenon, a finalist in the 2007 National Poetry Series; Bicycle Day; The Beginning of Beauty (Part 1: hottest new ringtones mnichol6); and Day Poems. With Rod Smith she curates the Ruthless Grip Poetry Series at Pyramid Atlantic Arts Center. She is a professor at George Mason University. 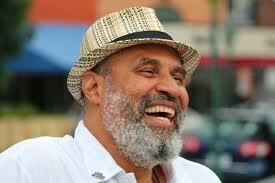 Tim Seibles, who teaches at Old Dominion University, is the author of seven books of poetry, including Body Moves, Hurdy-Gurdy, and most recently, Fast Animal. His poetry has been featured in Best American Poetry and he has been the recipient of an NEA grant for poetry and Open Voice award. He also teaches in the Stonecoast MFA program and for Cave Canem. Rod Smith is the author of poetry collections including Deed, Music or Honesty, Poèmes de l’Araignées, and In Memory of My Theories. He edits the journal Aerial, publishes Edge Books, and manages the independent Bridge Street Books in Washington, D.C.
Other poets appearing at this year’s Fall for the Book Festival — September 26-30, with events at George Mason University and at locations throughout Northern Virginia, DC, and Maryland — include Rita Dove, Jane Hirshfield, Tom Pow, Cathy Park Hong, Carmen Giménez Smith, Jonathan Kryah, Jonathan Stalling, Brian Brodeur, and Danielle Cadena Deulen, among others. For complete information on the festival, please bookmark Fall for the Book’s website at www.fallforthebook.org.